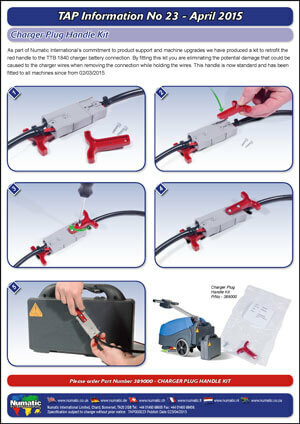 As part of Numatic International’s commitment to product support and machine upgrades we have produced a kit to retrofit the red handle to the TTB 1840 charger battery connection. 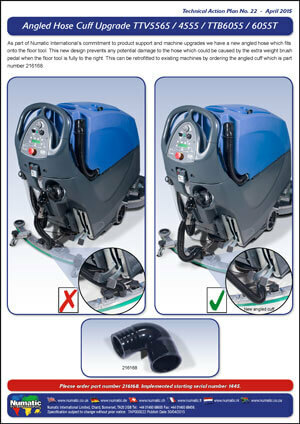 By fitting this kit you are eliminating the potential damage that could be caused to the charger wires when removing the connection while holding the wires. This handle is now standard and has been fitted to all machines from 02/03/2015.